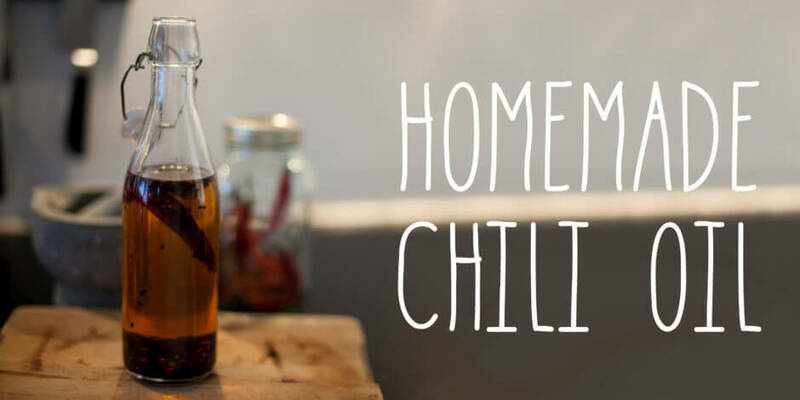 Homemade chili oil is a great thing to have in your refrigerator. 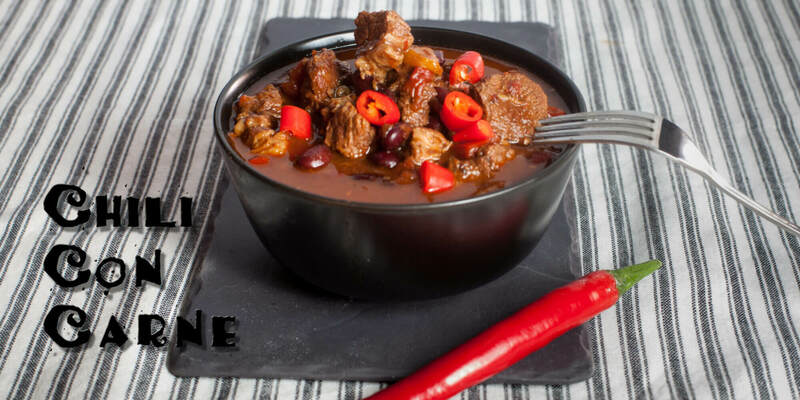 You can fry in it to give an extra punch, or pour it directly over your dish or salat if you need a bit of heat. 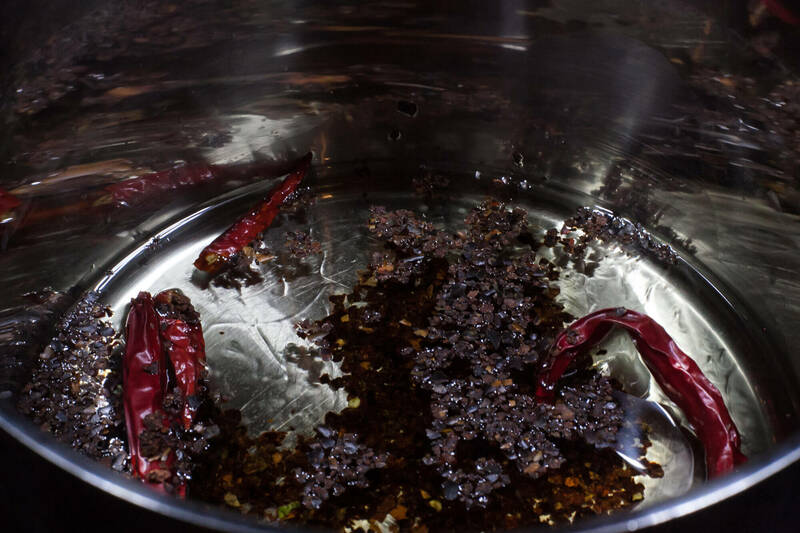 Put oil, chili flakes and dried chilies into a pot. Bring to a medium heat and let simmer a couple of minutes until the oil turns a wonderful orange color. Be careful it does not burn. 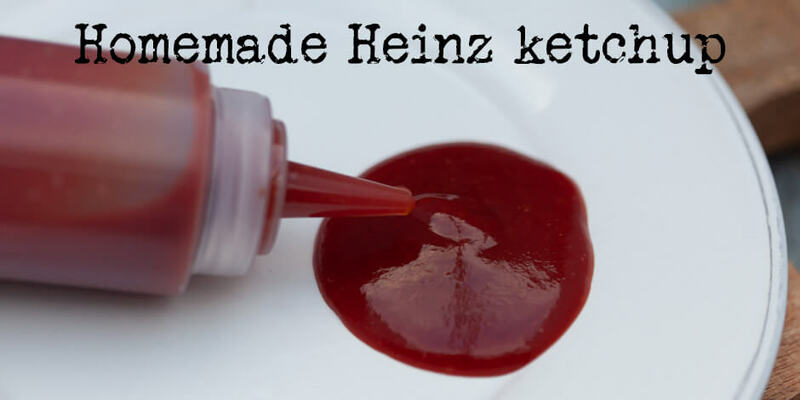 Pour into a sterilized bottle and keep in the refrigerator. 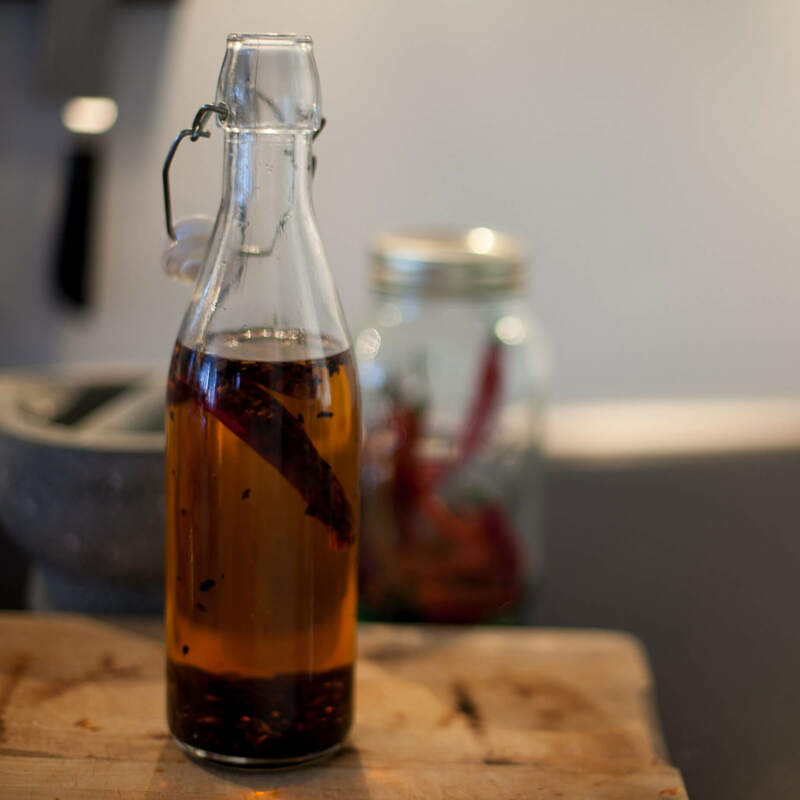 It could not possibly be any easier to make homemade chili oil, but a great thing to have around. 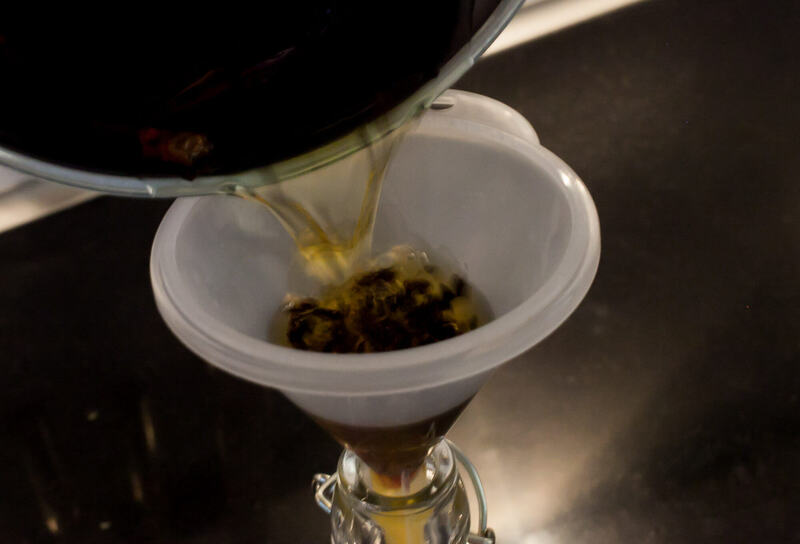 Why pay a bundle at the store for a small bottle, when you can make a large at home for a tenth of the price?